Restylane Lyft is a hyaluronic acid with the same structure as Restylane with gel particles which are larger and in a higher concentration than Restylane making it more applicable to deep lines and folds and facial contouring. Restylane Silk is used in deeper folds, for chin and cheek augmentation and to bolster sagging mouth corners. Restylane Lyft has been used outside the United States for years and received FDA approval in 2007. Restylane Lyft’s ability to provide long lasting deep facial fold correction is well established. What is Restylane Lyft Used For? Restylane and Restylane Lyft have a highly favorable safety profile. They are composed of non-animal stabilized hyaluronic acid. Hyaluronic acid is a substance found naturally in the human body. Restylane and Restylane Lyft are fully biocompatible. There is limited risk of animal-based disease transmission or development of allergic reactions to animal proteins. No allergy testing is required before use. The most commonly reported side effects were temporary redness and swelling at the injection site. On most Mission Viejo and Orange County patients, these effects typically resolve in less than seven days. How do I know whether to use Restylane, Restylane Lyft or a different filler? 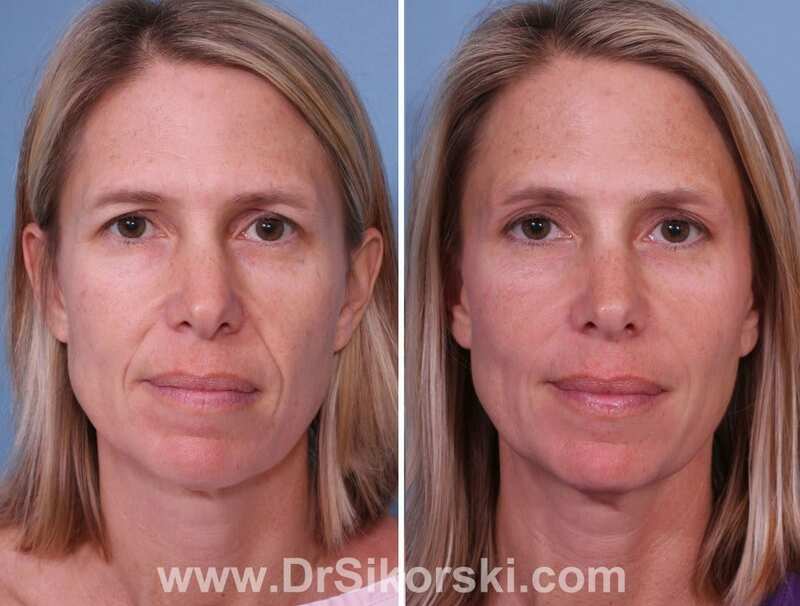 Dr. Sikorski has over 15 years’ experience in fillers of all types. During your consultation, she will explain the benefits of each – the limitations – and you can make your own choice based on what improvements you want to accomplish and for how long. We look forward to meeting with you and helping you find the simplest solution to achieve the goals you desire. Contact our office in the Mission Viejo and Orange County area for more information on Restylane Lyft or to schedule a consultation with Dr. Sikorski at (949) 448-0487.